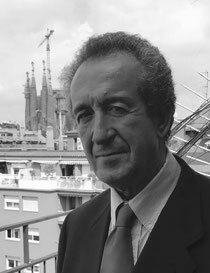 Born in Granada in 1955, Antonio has been working in top management positions of several companies related to telemarketing as well as recovery of credit rights and impaired assets. He studied Business at the University of Barcelona, International Administration in California and holds a Post Graduate diploma at IESE at the University of Navarra. He was financial director of Grupo Planeta Agostini and Akzo Coatings and has created several companies specialized in the recovery of assets, participating in the purchase of large portfolios acquired from major Spanish banks. He also is a member of the Anti-Fraud and Money-laundering Committee of ASNEF and an Entrepreneur himself active in various sectors.